Don’t Waste Money on New Windows! Do you have a stubborn, sliding door, a window crank or window hinge that won’t work right? Frustrated that you can’t get it to work? Worried about security issues? Wasting energy? You may be thinking of calling a window service and having it repaired or replaced. Before you pick up the phone to call a window replacement service, we first want you to try “Mr. Cranky” – the mobile window repair service that is known to “work miracles” for hard-to-open or close window cranks! 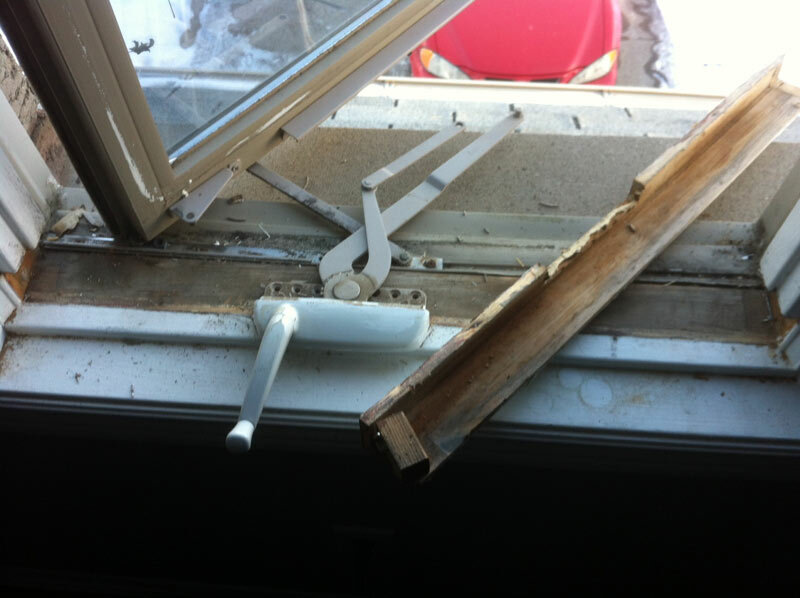 We replace your broken window cranks & hinges and repair any issue that caused them to go in the first place! REPAIR YOUR WINDOWS & SLIDING DOOR, DON’T REPLACE THEM! That’s something you won’t hear from any window service you’ll find in the phone book. They all want to sell you A NEW WINDOW OR SLIDING DOOR – not just replace the problem window crank, sliding door roller or broken window hinge. That’s why they’ll tell you that the crank parts “aren’t available anymore” – and then try to hoodwink you into buying new windows – when all you need is a new crank. But here at Mr. Cranky, we know how to GET the replacement parts for over 120 window manufacturers. We’ve been in this business for many years, and our sources are unmatched for having exactly what you need, when you need it. WE CAN FIX IT RIGHT AWAY! We come out to your place and look at the problem. Chances are, we’ll be able to fix it on the spot. We carry enough of the standard replacement parts in our trucks, yours is probably in our regular inventory. But even if we have to “special order” it for you, it will be FAR CHEAPER than agreeing to let a commission-hungry salesman convince you that you need “all new” windows! We’ll show you how that’s just not true. WE’LL SAVE YOU THOUSANDS OF DOLLARS! As you may know, replacement windows aren’t cheap. And by the time the slick salesman is through with you, he’ll have you signing a contract for a whole set of replacement windows. It will add up to thousands of dollars that YOU DON’T NEED TO SPEND! The window companies hate us for telling you this. But all you need is to repair the PROBLEM – not replace the entire window! Unless there’s something seriously wrong with the window, why throw good money away? Spend your hard-earned money on something ELSE! Something that you’ll ENJOY! By contrast, a simple window repair can have your window working like new – MUCH quicker and cheaper than replacement windows! Most people simply don’t know that their WINDOW CRANK can be replaced. They usually don’t know who to call to get it replaced – and that we’re the ones who specialize in it! Like I said, the window companies want to sell you NEW WINDOWS. We just want to fix your window crank problem. Mr. Cranky is a locally-owned and operated company – dedicated to solving the problems of our community… and helping everybody be happy and less… cranky. If you’ve got window problems or patio door troubles, we’ve got solutions. P.S. If it turns out you need NEW WINDOWS, not a new window crank or replacement hinges, our service call is FREE! Therefore, you have nothing to lose by having us come out and look at your window problems today. The sooner you make that call, the sooner your problem will be solved.